Let’s get personal! One of the things we simply adore about designing and coordinating a wedding is getting to know the happy couple. Through our discovery process, we often uncover clever ways to make a wedding completely unique to that couples story! The most memorable weddings are the ones filled with special touches. 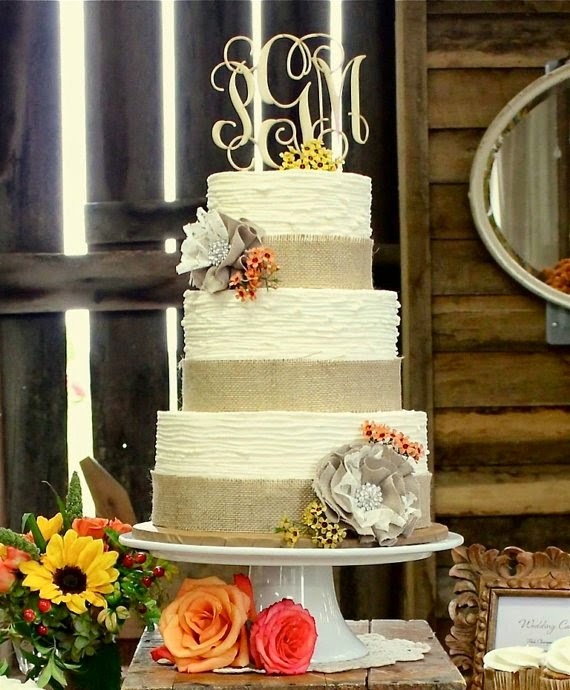 An easy way to add a bit of customization is with your cake topper. The days of every couple placing a ceramic bride and groom atop their cake are long gone. Today, there are thousands of unique options you can choose from to make your dessert even more special! While some brides choose to go with matching florals, we love incorporating some of these made to order options! 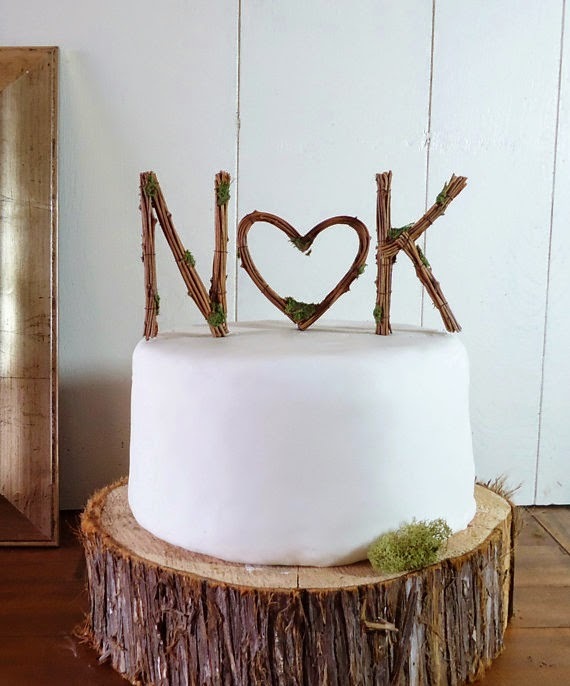 These vine letters and heart would be perfect for a rustic wedding. You can find this, and lots of other options, from April Hiler Designs. Better Off Wed has a slew of custom options! 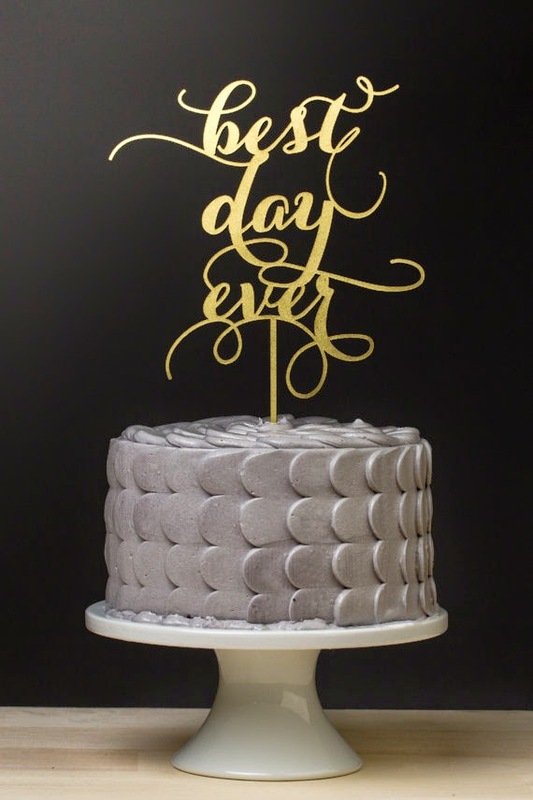 These statement cake toppers are a glamorous modern option. And if you haven’t notices, we kind of have a thing for gold glitter! 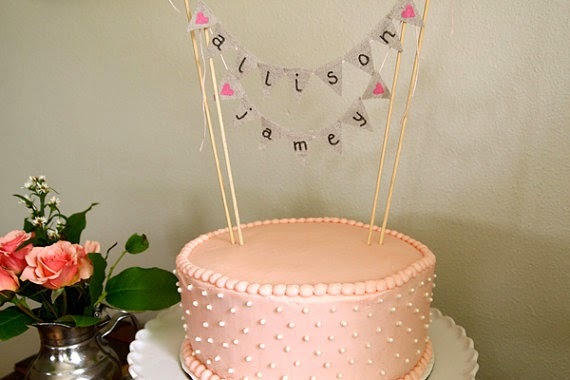 For the country chic couple, this mini personalized bunting is the perfect cake topper. You can find other custom goodies in the Borden Specific shop. 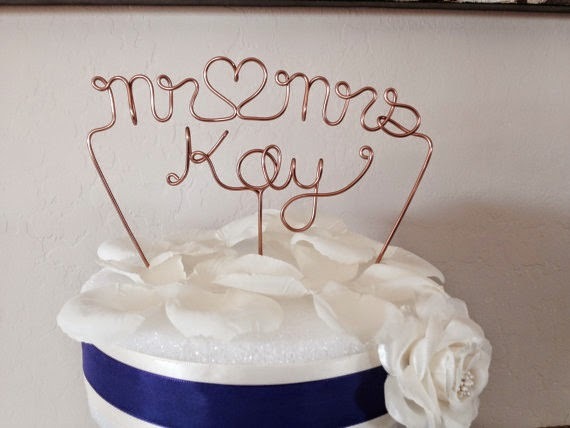 These wire toppers from Bridal Cute Hangers can be easily added to any design. Include your names, your wedding date or even a special saying. The options are endless! No matter the theme or style of your wedding, monograms are always chic. Inscribed Monograms has several options to choose from whether you prefer bold letters or script. If you want to make your cake really personal, you can actually put yourself on top of it. 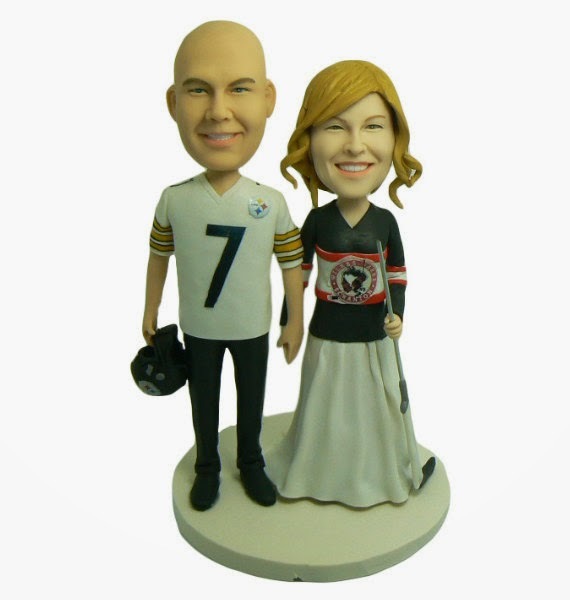 These custom cake toppers by My Memory Dolls are actually created from your picture. Inspire a little camaraderie with this sports topper or choose from several other custom designs. 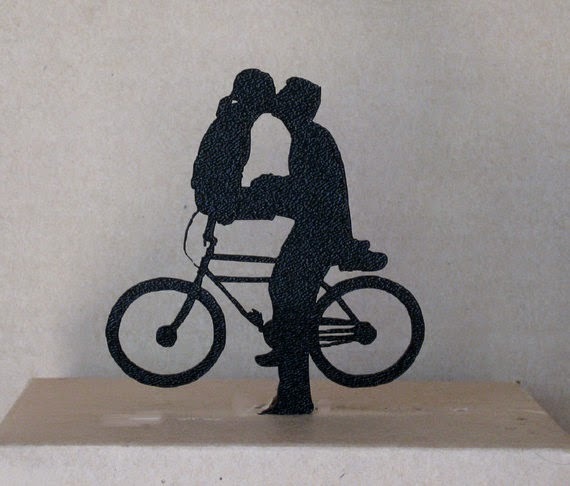 These silhouette toppers can be completely customized. What a unique way to transform your engagement photos! Plasticsmith can send you something unique or you can choose from the adorable silhouette options they have on their site. How are you going to add your couple style to your wedding? We want to know! Leave us a comment below and tell us what you’re loving. Remember, you don’t have to create your dream wedding on your own. Contact Your Jubilee for full event design, day of coordination and everything in between. Check out our services for a complete listing of everything we have to offer.